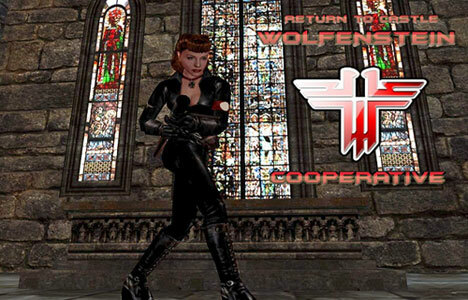 This is the first release Fretn considers stable of RtCW CoOp Mod. In the last two months we fixed a lot of bugs and now it feels a bit polished. I don’t consider it ready, so the version number isnt 1.x yet. Dies ist die erste "stabile" Release-Version vom RtCW CoOp Mod. In den letzten zwei Monaten haben wir eine Reihe von Fehlern gefixt und jetzt fühlt sich die Coop-Version wie aufpoliert an. Ich halte diese Version aber noch nicht für ganz und gar fertig, ein Tick fehlt zur Final fehlt noch. Story: One of the O.S.A. spies reports that Wilhelm Strasse develops a new type of Uber Soldat. Blazkowicz is send to finish him once and for all. Following recent information, he is in a secret research center, in German mountains. The Dark Army is a Single-Player Add-On Mod for the original Return to Castle Wolfenstein on PC (Windows, Mac and Linux) coming Q4 2014. New pictures of The Dark Army mod for Return to Castle Wolfenstein appeared (about 30 pictures in high-definition), giving you a look on the impressive results of my recent work on the maps, in order to update these to their final version.